Eman had the most liked content! Anyone regularly streaming on Twitch? Just started using Twitch and thought it would be cool if anyone else that is streaming their games could share their info. You can find me at https://www.twitch.tv/unceman I create new challenges for each game. So far I've played without a goalie and only scored with defensemen. If you have an idea, let me know. My next project is to play with each team in the playoffs but limit each player to 1 goal for the entire playoffs. Might have to make it best of 7, but that may end up using the equipment manager or the guy that shovels the ice to play in the finals. Thanks segathon. It made it feel like a new game to me playing this way. I'm sure this experiment didn't help my skills vs human opponents either. Will probably go through all the teams again setting the overall rating ceiling to 70 for forwards and 60 for defencemen. Goalies might need tweaking as well, just not sure what that will be yet. I have been looking for new and challenging ways to play NHL94 offline and solo. Like most of you, playing the computer controlled teams are no longer a challenge. Although the best competition is playing in one of the many online leagues, I have not been able to commit to an online league or find people to play against in non-league games. I took it upon myself to make new challenges. First was winning the Stanley Cup playoffs without a goalie. This proved to limit my exposure to several teams, since there are only a few teams that I might be able to use to accomplish this feat. Probably could do it with VAN, QUE, CAL, and maybe LAK or WSH, which leaves the rest of the teams unused. I like to play with an assortment of teams, so I needed to find another challenge... I decided to play with just backup players. That worked fine for the elite to middle tier teams, but left the bottom teams a barren wasteland of talent. (Playing with an all backup version of the Florida Panthers would make a grown man cry) The idea was good, it just needed some adjustments. 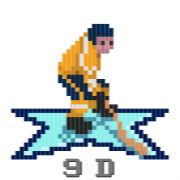 I wrote up a blog entry about it: http://coalm.blogspot.com/2017/08/handicapping-nhl94.html Bottom Line: -No players rated over 75 overall -Every team must bench their best forward and their best defenseman -No dominant goal scorers even if the player's overall rating is below 75. Call this the Kamensky Rule -If a player scored a hat trick, the player must be substituted for the remainder of that game. Removal from the rest of the playoffs is optional, but encouraged. 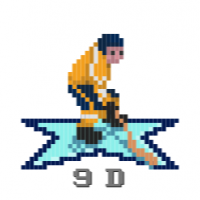 -Only removed Roy and Belfour at goalie. All other goalies remained. Might change this in the future. Let me know what you guys think of my results, or go try it yourself. I signed up. Let's go Canes! 2 questions: 1. Can we set our lines ahead of time in the ROM or will we need to do that before each game manually? 2. The Canes roster on the leaguedaddy web site have several mistakes. Is it worth fixing? Actually, I meant how will you get the schedule to me? Should I watch for it on the message boards or will it be emailed to me? I'm new to being in a league. How will the schedules be distributed? I've been having trouble finding people to play exhibition games. Is there a way we could list some AIM screen names that are willing to play a pick up game? I don't want to bother people that have no intention of playing exhibition games. I make the assumption that if you are logged on to AIM, you want to play. Is there an easier way to organize this?